The migration of apps from the data center to the cloud requires organizations to rethink their network architectures, especially at the branch level. 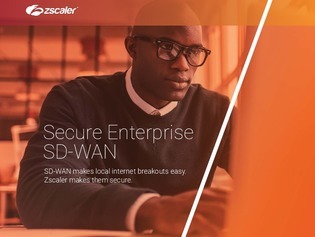 As a result, a lot of organizations are moving to SD-WAN in order to support always-on connectivity to cloud apps across branches and remote locations. But with SD-WAN, traditional network security measures can’t always keep up – they simply weren’t designed to. Find out how to update security and traffic management for SD-WAN so you can support secure branch connectivity in the cloud.